TOKYO -- Takata Corp., the airbag maker facing billions in possible costs for the biggest recall in automotive history, is in talks with potential buyers including U.S. fund KKR & Co., according to a person familiar with the matter. Talks are at a preliminary stage and KKR isn't the only candidate, said the person, who asked not to be named as the discussions are private. Japan's Nikkei newspaper reported that KKR has proposed taking about a 60 percent stake in Takata and has submitted a restructuring plan to the external steering committee tasked with restructuring the supplier. Takata and KKR spokeswomen declined to comment on the report. Takata's shares surged by 21 percent, the daily limit, in Tokyo today after the Nikkei reported earlier that KKR plans to offer support and lead a restructuring effort in place of the founding Takada family. The Nikkei said the selection of a financial sponsor would require discussion with Takata's automaker clients and stakeholders. The company's founding family owns nearly 60 percent of the firm, which was started by Takezo Takada in 1933 as a maker of parachutes and other textiles, and is now run by his grandson. At least 13 deaths in the U.S. and Malaysia have been linked to defective Takata airbag inflators that can deploy too forcefully, rupture and spray plastic and metal parts at drivers and passengers. Automakers led by Honda Motor Co. had recalled at least 60 million air bags globally before U.S. regulators this month ordered the replacement of as many as 40 million more. "The market has been waiting for some sort of positive news for a long time so it reacted sharply, after all, Takata is a company that has technology and makes important products," said Mitsuo Shimizu, equity strategist at Japan Asia Securities Group. "There's a question mark over whether an overseas investment fund will really exert a lot of effort to restructure Takata, because they may just sell it to others. Ideally, a Japanese manufacturer in the auto industry will be best savior for the interest of Takata," he said. KKR currently invests in Japanese companies, including in Panasonic Healthcare and Pioneer DJ Corporation. It formed a venture with China Orient Asset Management Corp. to invest in credit and distressed assets in China. The company failed in its bid for Lumileds, the components unit of Royal Philips' lighting division, in March last year. That sale also included Philips's Automotives lighting business. KKR raised $3.35 billion for its second special-situations fund in April, and its team, run out of U.S., provides debt or equity to companies that have distressed capital structures or are undergoing events such as restructuring or mergers. 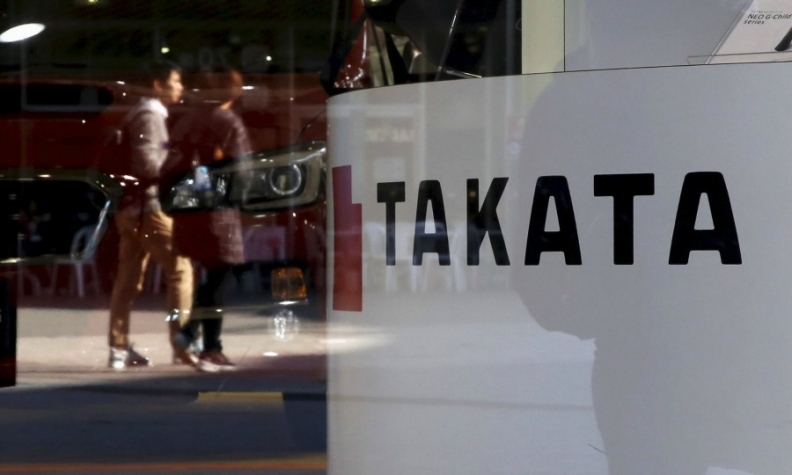 Reuters in April reported that Takata planned to draw up a shortlist of financial backers by August, and that it hoped to reach an agreement on its restructuring by mid-September.